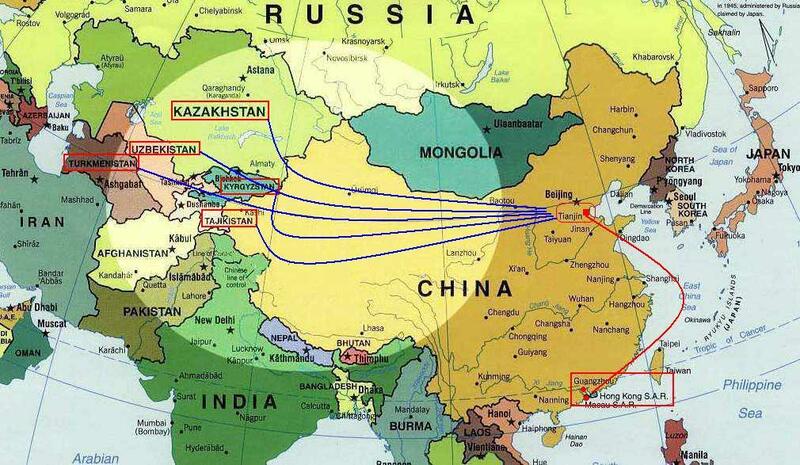 For more than three years, we’ve been successful in channeling cargoes into the 5 Central Asia Countries (Kazakhstan, Kyrgyzstan, Tajikistan, Turkmenistan, Yzbekistan) by a combined mode of transport: 1st leg by sea from various Chinese ports & overseas to Xingang / Qingdao, then on-forwarding to final destination by railway. No expense of buying SOC is the characteristics of our service. We lease to you our own container in any named Port of Loadings, and carry them all the way up to the destinations. The leased containers can be collected at our local depots, and you’re not required for empty container repositioning nor paying overtime demurrage/detention charge to shipping lines. All charges and freight charges to be Prepaid and Paid upon exchange of B/L and/or vessel's departure..